It is never too early to begin evaluating the wide range of college choices and start getting the information you need to choose a college. You may qualify both your interests and athletic performance and be one of the 360,000 students out of millions to combine education and athletics. Combining athletics and college helps one to develop teamwork, goal-setting and self-discipline. 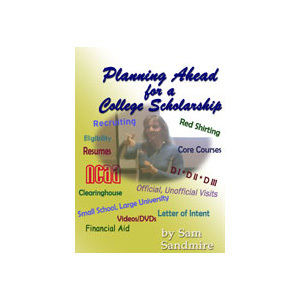 On this DVD, Sam covers the major topics when looking at colleges: academics, gymnastics, education, video/DVD resume, and recruiting. DVD Running Time is 50 minutes. 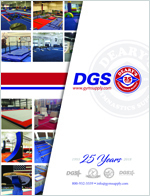 Sam Sandmire was an elite gymnast, collegiate gymnast, club coach and owner, and has served for the last twenty years as the head coach at Boise State University. She is a well known national clinician who presents at national and regional clinics throughout the United States.